Having inefficient, ineffective or poorly maintained insulation in your attic can cause major headaches. If your home has poor attic insulation, you’ll be losing heat from indoors in the winter, and rapidly overheating in the summer. Not only will you be uncomfortable when more severe weather rolls in, you’ll also be spending more on utilities. Cranking up the heat or blowing the AC day and night quickly adds up. Good attic insulation will make your home more comfortable and save you money. As an experienced insulation company, Valley Insulation can explain why. Attic insulation is an important part of keeping your home comfortable and reducing your energy costs. Not only that, but having a properly insulated attic also protects your home from moisture, damp and mold. Since cellulose insulation contains borac acid, it serves as a pest deterrent. At Valley Insulation, we offer cellulose insulation and fiberglass insulation for residential projects. This type of insulation offers a thick coating that creates a seamless layer of protection for the floor and corners of your attic space. This can be especially effective for harder-to-reach spaces. 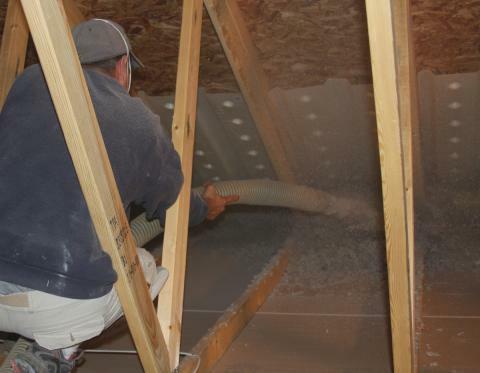 Valley Insulation specializes in using cellulose insulation and fiberglass insulation. With over 40 years of experience, we’ve served clients with properties of all sizes, ages, and types. We’re dedicated to working with our clients, discussing and assessing their needs and what’s best for their property with them to find the best solution. Getting it right the first time means that you’ll spend less in the long term on maintenance, having to have insulation replaced, and on your overall energy costs. If you’re looking for a reliable, professional, and friendly insulation service, contact your local insulation contractors today. We’ve been serving customers in Cincinnati, Lawrenceburg, Harrison, West Chester, Mason, Batavia, Maderia Hebron, Covington, Independence, Oxford, and across Ohio, Indiana, and Kentucky for over 40 years. For the best possible insulation service, customized for each client, contact Valley Insulation, LLC today.